What are we, what do we do and what can we offer your child? 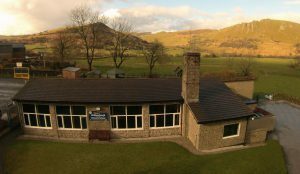 Hollinsclough Academy is set within the rolling hills of the Peak District National Park, in the small hamlet of Hollinsclough about 10 minutes by car from the centre of Buxton, and close to the foot of Chrome Hill, regarded by many locals of being more like a mountain than a hill. 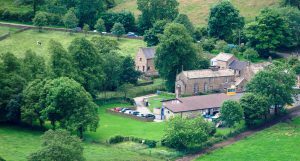 Hollinsclough is a Church of England Academy and our Christian values are at the heart of all that we do. We welcome children from 3 through to 11 along with their families and are open to all other religions and those who take a secular viewpoint. We foster close links with our local churches and our community links expand on an almost daily basis. We are aware of the needs of all children and because of our development of a now nationally recognised approach called Flexi-schooling, we are better able to provide all of our children with individual learning programmes suited to their needs. Because our children want to come to school, they learn with confidence and reach their full potential within a secure and supportive learning environment in which progress is the key driver. We have carefully considered and analysed the impact the design of this website may have on equality, and its possible implications for pupils with protected characteristics. This approach forms part of our commitment to meet the Public Sector Equality Duty requirement to have due regard to the need to eliminate discrimination, advance equality of opportunity and to foster good relations. Our Vision – We provide a happy, stimulating, secure, safe and nurturing environment that offers all of our children an equal opportunity to develop their own individual abilities and personalities, helping to unlock their potential. Our approach equips all of our pupils with the knowledge, skills, concepts, attitudes and values offered by our broad and balanced curriculum, fostering a life long love of learning, in an atmosphere where pupils, parents and teachers can effectively work together enhancing the education provision for all. Our children appreciate the benefits of healthy living and physical fitness, which along with their learning experiences give them a sense of personal self-respect and confidence, arming them with the tools to make a positive contribution to society and an appreciation of the environment. We are an inclusive community and recognise that parents have the legal right to withdraw their children from religious education or collective worship on the grounds of conscience, without giving a reason. Parents wishing to exercise this right are asked to write to the Principal who will then invite the parents into school to discuss their approach, so that we ensure the nature of the RE and worship provided by our school meets the parents desires within the framework of education law. However, the right of withdrawal does not extend to other areas of the curriculum when, as may happen on occasion, spontaneous questions on religious matters are raised by pupils, or there are issues related to religion that arise in other subjects. Where a pupil is withdrawn from RE and do not take part in alternative religious education they will be supervised by an appropriate member of staff whilst doing work set by their parents which will seek to further their knowledge and understanding of their parents beliefs and values.